I had thought that this was already on the site, but come to find out, it was not, and had been lost. It's a pearl necklace (the earrings are base game) So here it is, finally restored. Enjoy! I found this file, I am hoping it is the right one. Unfortunately I do not have Sims 3 so I am unable to check it out. 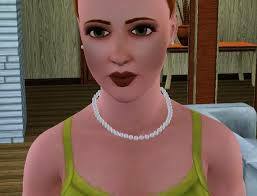 @llamas and hats - G'Day hun, this is the only file I could find "TheSims_3_Pearl_Necklace". I hope it is the right file.